Ah yes, Prosecco. The italian dry white sparkling wine that appropriately rises to any occasion. From the wedding cheers all the way down to the 9am woke up with your shoes on. Lucky for you Londoners out there, the Bubble Bros are making that a lot easier with The Prosecco Van, a sparkling wine bar on wheels. Three years ago, the Bubble Bros converted their 3-wheeled Piaggio Ape into a sparkling wine bar, and Prosecco wagon, which has served the Granary Square and Flat Iron areas of London for the last three years – pouring out glasses of sparkling wine on the daily. Just who exactly are these Bubble Bros, you ask? Meet Ben and Joe. Just like most people, these two Londoners enjoy a good time and a good music festival, which is actually how the idea came about for the Prosecco van. While attending Wilderness Festival, Joe’s wife overheard a festival goer complaining about where they could get “a cold glass of Prosecco…” and Voila! 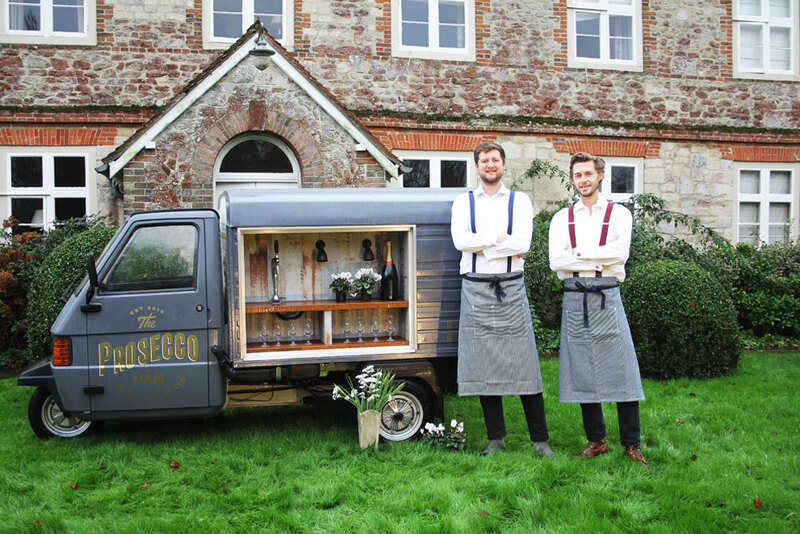 Ben and Joe jumped on the idea of making a Prosecco van that could serve people at their convenience. You can check out their website for upcoming events, or schedule them for an event of your own. Sometimes it’s well worth it to treat yourself to a glass of bubbly, and luckily, the Bubble Bros can take all the hassle out of it for you.